This is Part 3 of a series of 4. I am covering or rather duplicating what was sent to me from Olympus’s Press Releases as I am in not in the position to comment or review the camera until I tested it. I am going to share about Olympus E-PM1 in this episode. 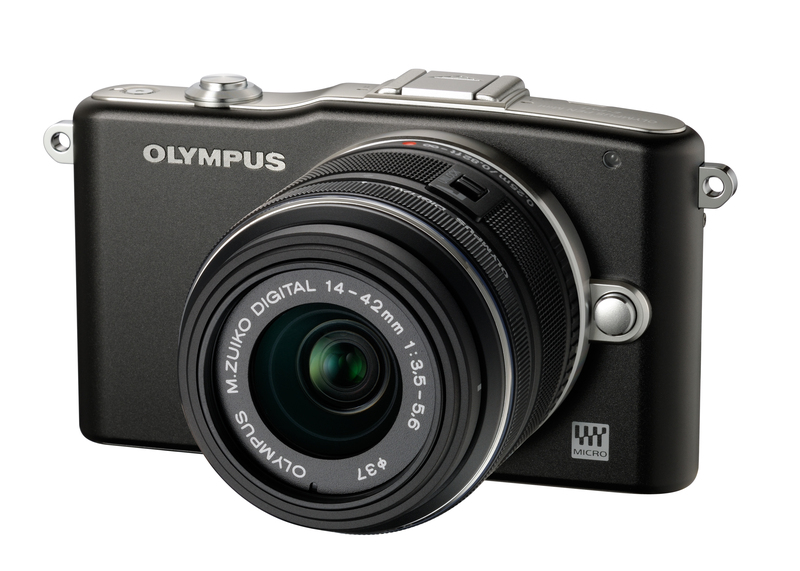 With the new “PEN mini” series,Olympusis bringing the concepts of ultracompactness, simplicity and stylishness to SLR photography, aimed directly at first-time interchangeable lens digital camera users. 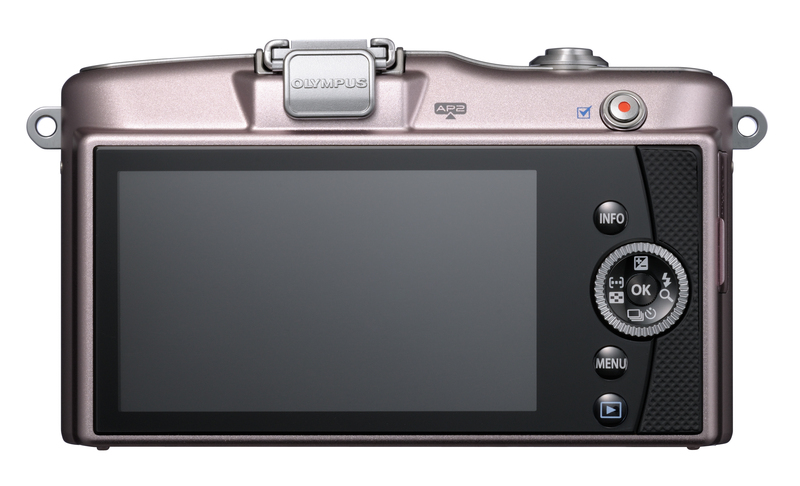 The first in this new line of new generation system cameras, the OLYMPUS PEN E-PM1 is an interchangeable lens type digital camera that conforms to the Micro Four Thirds System, which is targeted at the fashion-sensitive younger generation. The E-PM1 represents the culmination ofOlympus’s quest to maximise the size/weight reduction advantages of the Micro Four Thirds System standard. The ultra compact and light interchangeable-lens type camera, the camera body alone weighs just 215 grams, while the total in actual usage (with the standard zoom lens, flash, memory card and rechargeable battery) is still the world’s lightest at 401 grams. Available in a choice of six different colours, this model will appeal to a wide range of users with many different needs and requirements. 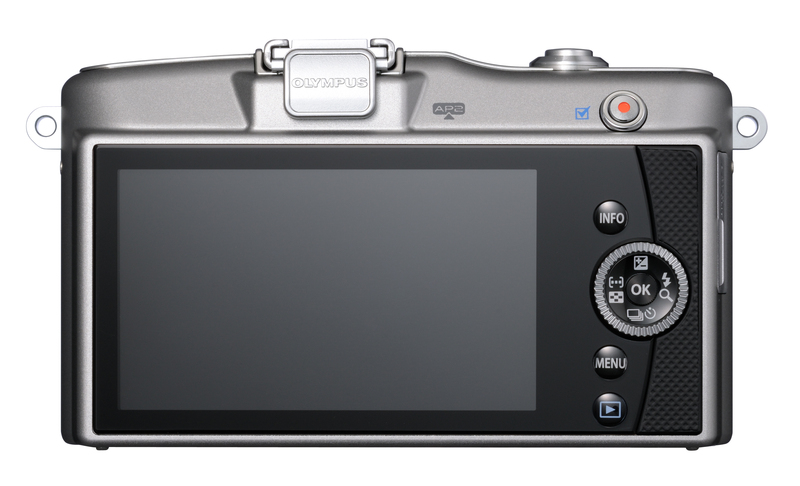 This camera also boasts sequential shooting performance of 5 fps and image quality built on the same advanced technology that powers the Olympus PEN E-P3, the just announced new flagship of the PEN series, continuing withOlympus’s policy of “providing the maximum image quality performance to all PEN models”. Better-than-ever image quality is made possible by the new 12.3-megapixel High Speed Live MOS Sensor with 1080i HD movie compatibility and the new TruePic VI image processing engine. High-sensitivity shooting at ISO12800 is also possible. This camera also features the Art Filters well acclaimed with otherOlympuscameras so that anyone can easily enjoy photographic expressions that used to require complicated image processing. The E-PM1 incorporates six of the most popular Art Filters, allowing users to express their unique creative vision with both still images and movies. Ultra compact and lightweight body with a stand-alone weight of 215 grams* The E-PM1 is the result of Olympus’s commitment to maximising the advantages of the Micro Four Thirds System standard, one of which is size/weight reduction while maintaining the high image quality of an SLR. Weighing just 215 grams, the E-PM1 is 27% lighter than the E-PL1 and E-PL1s (296 grams), previouslyOlympus’s lightest cameras. Volume has been reduced by 31%. Even when the camera is fully equipped for actual use with the M.ZUIKO DIGITAL ED14-42mm f3.5-5.6 II R, its removable flash, a rechargeable battery and a memory card, the E-PM1 is still the world’s lightest at 401 grams. In addition to the traditional colours of Silver, White and Black, the E-PM1 is also available in Pink, Purple and Brown. From cute to classic, these variations make the PEN series even more attractive. Already, the PEN series is to have triggered the “camera girl” phenomenon with which more young girls and now, with even more styles and colours to choose from, the “PEN mini” should attract even more users. Since the E-PL1 (launched on March 2010),Olympushas been incorporating a new user interface called the Live Guide. Designed for users who do not have expert knowledge of photography but want to have creative control over their pictures, Live Guide lets users shoot the pictures they want by selecting an icon and operating a slide bar to control the major factors for the SLR photography including “colour vividness”, “colour balance”, “image brightness”, “depth of field (blur background)” and “subject in motion”. The names of these factors are expressed in daily, easy-to-understand languages without any jargon. 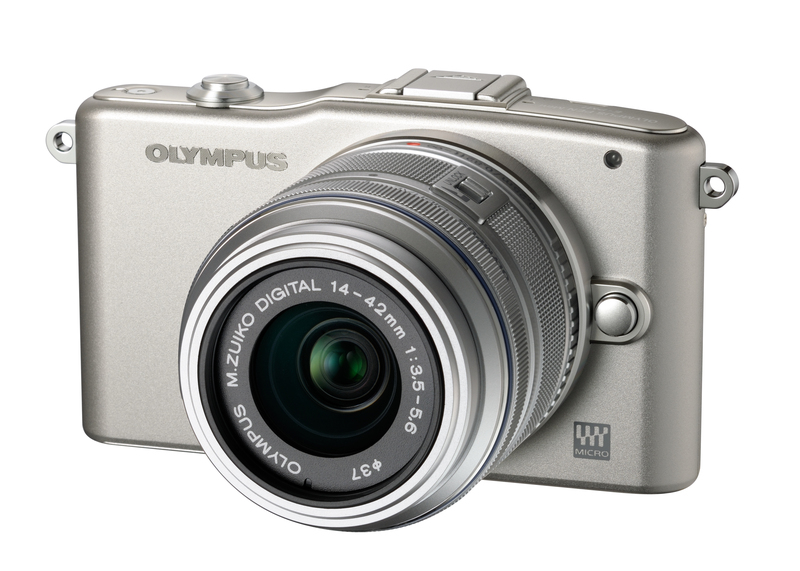 Ever since the E-30 was introduced (December 2008),Olympushas been supporting the creativity of photographers by incorporating easy-to-use Art Filters in its interchangeable-lens digital cameras. The new E-PM1 incorporates six of the most popular Art Filters. These Art Filters allow the user to enjoy unprecedented creative possibilities with both still images and movies*1. Recreates the classic grainy look and tonality of black & white photography, imparting a dramatic feel to images. *1. When shooting a movie using an Art Filter, the number of frames and the presence/absence of audio recording are variable depending on the type of the Art Filter. Designed to be easy for anyone to use, the E-PM1 features a new control system with fewer control buttons and no mode dial. Operation steps have been reduced for maximum simplicity. Changing shooting modes is easy thanks to the new GUI’s “stripe screen”, which can be displayed by pressing the MENU button. A more compact high-speed shutter mechanism has been developed newly to be accommodated in the smaller body. The new shutter succeeded in improving the sequential shooting performance from the previous 3 fps to 5 fps. Committed to “providing the maximum image quality performance to all PEN models”, Olympus has generously endowed the E-PM1 with the same new 12.3-megapixel High-Speed Live MOS sensor and new TruePic VI image processing engine incorporated in the new flagship of the PEN series, the E-P3, due for release at the same time as the E-PL3. This has made possible full HD 1080i movie recording and improved the maximum sensitivity to ISO12800. The newly developed TruePic VI image processing engine achieves both improvement of image processing quality and reduction of processing time. In addition to the popular Motion JPEG (AVI: approx. 30 fps) format*1, which can be easily played back and edited on a PC, the new E-P3 can record movies in both full HD (AVCHD: 1920 x 1080/59.94i) and HD (AVCHD: 1280 x 720/59.94i) movie formats*2 for extended recording and playback on a large-screen high-definition TV set. *1 Recording capacity per one file is limited up to approx. 2 GB; max. recording time is approx. 7 minutes. *2 Recording capacity per one file is limited up to approx. 4 GB; max. recording time is approx. 22 min. in full HD mode, approx. 29 min. in HD mode. Image sensor output is approx. 30 fps. The E-PM1 incorporates an image stabilisation mechanism based on image sensor shifting so handheld shooting with reduced image blurs is possible even in low-light scenes or telephoto shooting. This mechanism shifts the image sensor unit instantaneously and precisely, and is built into the camera body so image stabilisation is possible with any lens, including an M.ZUIKO DIGITAL lens as well as an old lens mounted using an adapter if the focal length is input manually. Furthermore, an electronic movie image stabilisation function with multi-motion compatibility is incorporated to compensate for image blurs due to ordinary camera shakes to those caused by respiration and walking. A removable flash (GN10 (ISO200)) that can be attached only when needed is provided in the product package. 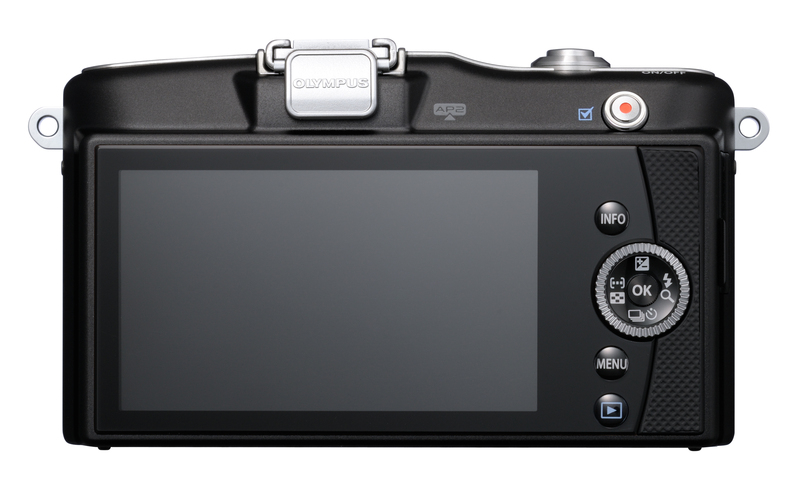 The E-PM1 is equipped with the wireless flash control capability so external flashes compatible with the Olympus Wireless RC Flash System such as the FL-300R can be controlled from the camera body on which the removable flash is mounted. In addition to the wireless control of three groups of flashes, the mounted flash can be fired as an independent group. The setting of manual firing can be set between 1/1 and 1/64 in 1-step increments to improve the convenience in macro flash shooting, for example. The M.ZUIKO DIGITAL 14-42mm f3.5-5.6 II R is the new standard lens for the PEN series cameras. It has newly been designed to match the new line of PEN series while retaining the high performance of the previous M.ZUIKO DIGITAL 14-42mm f3.5-5.6 II standard zoom lens. It incorporates the MSC mechanism and implements fast, quiet AF using the inner focus method. Despite the compact size and light weight, it is applicable in a wide range from street shooting to portrait shooting. The CS-31B is a genuine leather body jacket designed exclusively for the OLYMPUS PEN Lite E-PL3/E-PM1 . It protects the sensitive parts of the camera body without detracting from its design. In addition to the practical aspect of camera body protection, the body jacket’s genuine leather and rugged construction exude a sense of both traditional craftsmanship and contemporary styling. The mounting screw is recessed to make the jacket bottom flat, thereby improving stability when the camera is set down and enhancing the sleek look of the camera. The grip is made of leather of the same quality as the body jacket, providing an excellent hold, while complementing the design. 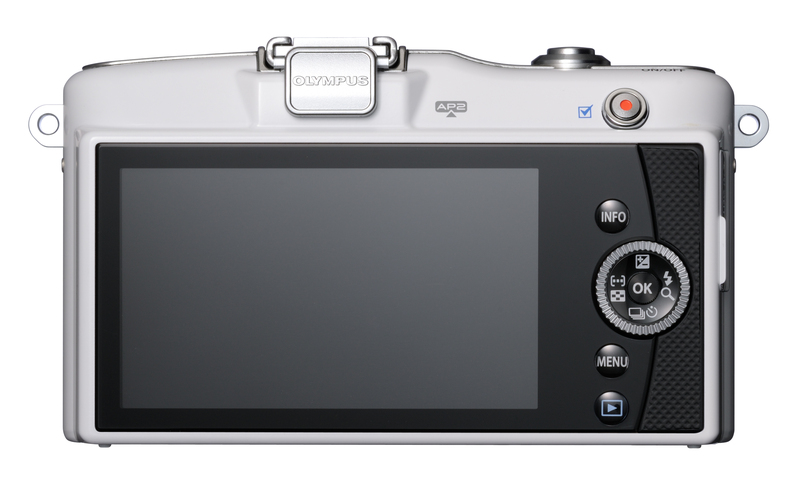 Naturally, shooting and playback is possible while viewing the rear-panel LCD without taking the camera out of the body jacket. The CSS-S109LLII is a genuine leather shoulder strap with an increased length adjustment range that makes it even more convenient than the CSS-S109LL shoulder strap. The strap length can now be made short enough to use as a neck strap and long enough to sling over the shoulder and across the chest. The colour can be coordinated with the body jacket. The CSS-S114 (launched on January 2011) is a beige-coloured shoulder strap that’s both fashionable and practical. 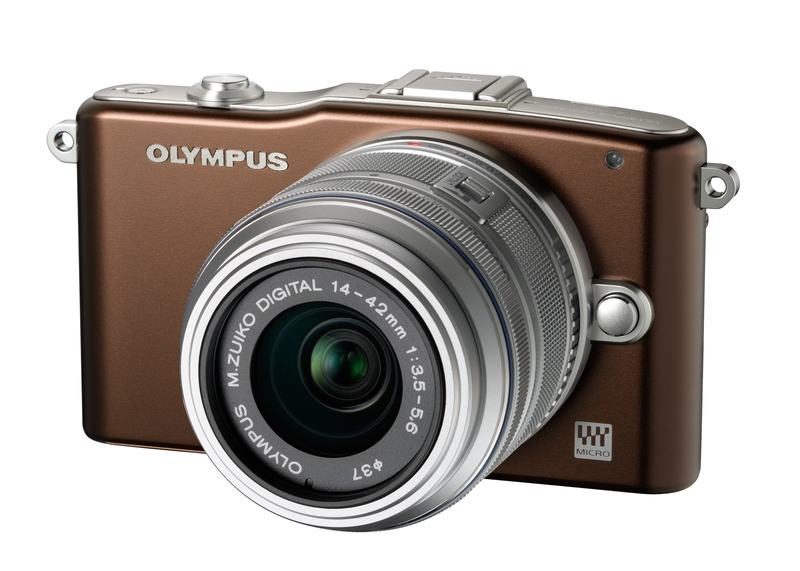 Now available in brown and green as well, it features a warm, natural design that complements any of the new OLYMPUS PEN models, including the E-P3, E-PL3 and E-PM1. Made of luxuriously textured fabric, this strap can also be customized by attaching pin badges* or other items. The length is about 138 cm, the optimum length to sling the camera over a woman’s shoulder and across her chest. The PT-EP06L is genuine underwater case designed exclusively for the OLYMPUS PEN E-PM1. This underwater case can create a powerful underwater photography system capable of withstanding water pressure at depths up to 45 metres. To support the compact, lightweight advantages of the Micro Four Thirds System standard, the thickness of the underwater case has been reduced compared to the PT-EP03 Underwater Case (released in January 2011) for the OLYMPUS PEN Lite E-PL2, which itself was significantly more compact than previous underwater SLR camera cases. The PT-EP06L is equipped with a new LED light* on the front end of the lens port that is great for helping illuminate small creatures hiding in dark locations — behind a rock, for example — for macro shooting. The underwater case is provided with a diffuser that makes it possible to attach the removable flash on the camera. This flash incorporates a wireless flash control function, enabling operation of the UFL-2 Underwater Flash. The PTWC-01 Underwater Wide Conversion Lens or PTMC-01 Underwater Macro Conversion Lens can be mounted on the front end of the lens port to facilitate underwater wide-angle or macro shooting. 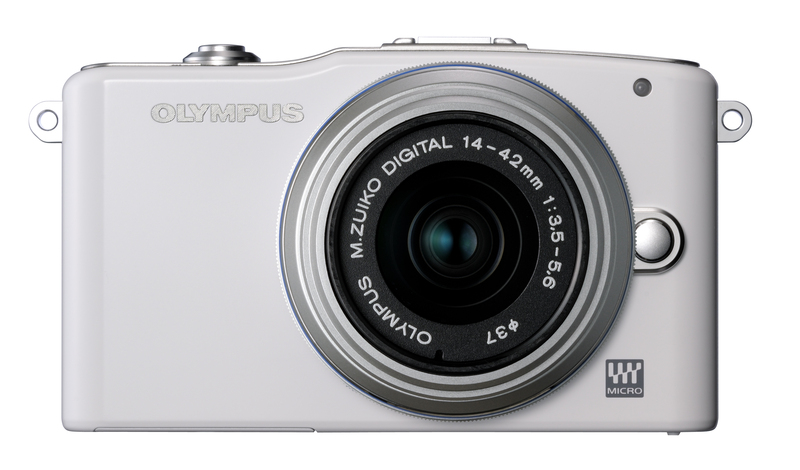 The OLYMPUS PEN E-PM1 incorporates the same underwater white balance function as the OLYMPUS PEN Lite E-PL2. As this function detects the underwater colour balance, which varies due to various factors such as the depth, weather and seawater condition, and compensates for the image automatically, it is easy to shoot bright underwater pictures with vivid colours. Whether still images or movies, the resulting pictures are free of the bluish colour cast common in underwater shooting. In addition, the cases can be used on land as well as underwater so troublesome white balance setting adjustment is not necessary before and after diving. * Usable only when the M.ZUIKO DIGITAL 14-42mm f3.5-5.6 IIR lens is used. – When the body colour is Black, the lens colour is Black. – When the body colour is White or Silver, the lens colour is Silver. – When the body colour is black, both lenses are Black. – When the body colour is White/Silver/ Pink/Purple/Brown, both lenses are Silver.